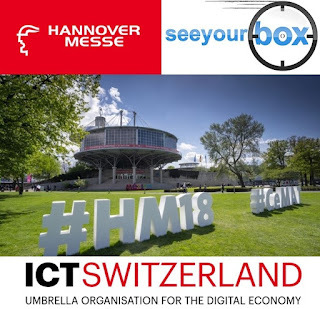 SYB is the selected partner of the ICT delegation of Switzerland at the Hannover Messe on April 25th. The ICT, specialized in the digital economy, brought us to meet a selected number of high flyer companies out of the 5000 exhibitors, such as Accenture, Atos, Novartis and Buehler. Hannover confirms that the digitalization of the supply chain from end-to-end is the next business frontier. Industry has grown thanks to statistical data analysis based on complex mathematical models, today it’s time to have real data, lots of reliable information filtered by a precise context. We are confident that SYB’s solution fits with the incoming demand from the market and provide companies with the information they really need.